Giulia Dessi has recently completed a Master degree in International Journalism at Cardiff University, UK. Her master dissertation focused on the role of citizens in the decision-making process following the Icelandic banking system collapse and in the accomplishment of democratic improvements. 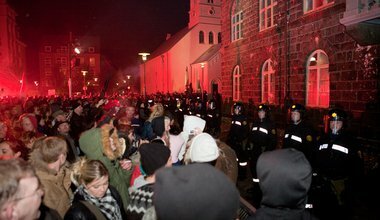 When politics strike back: the end of the Icelandic constitutional experiment? A wave of enthusiasm took Icelanders through the 2012 referendum after the 2008 crash, once the widely-praised 'crowd-sourced' constitution appeared to be within reach. But Icelanders’ hopes seem to be evaporating in the haze of this week-end's parliamentary elections. This Saturday, a year after a Constitutional Council has written a draft constitution with the help of citizens, voters agreed this draft should be the basis for a new constitution. This writing experiment stands out for its surprisingly democratic process, but a closer look reveals some of its limitations. 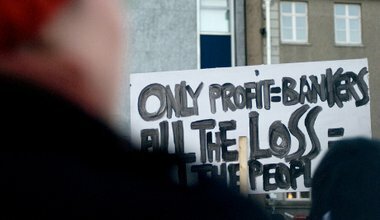 After Iceland’s financial collapse in 2008, Icelandic citizens wanted a plan to clean up the island’s political system. A new draft constitution, written by a council of ordinary people, was handed over to the parliament. 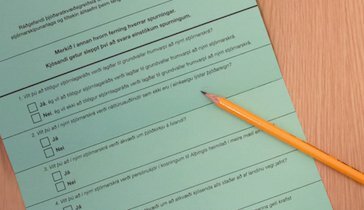 And on 20 October, all Icelanders will be asked for their opinion in a consultative referendum.